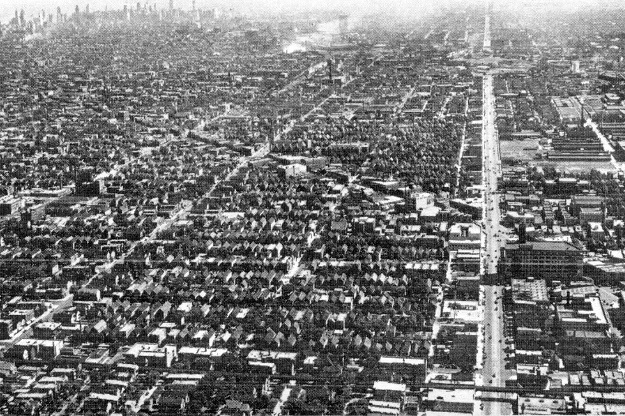 Yesterday I challenged readers to identify the location of a 1933 aerial photo of Chicago. Here&apos;s the photo. We are on the North Side, looking south on Ashland Avenue from about Addison Street. The Ravenswood &apos;L&apos; (Brown Line) crosses Ashland in the foreground. 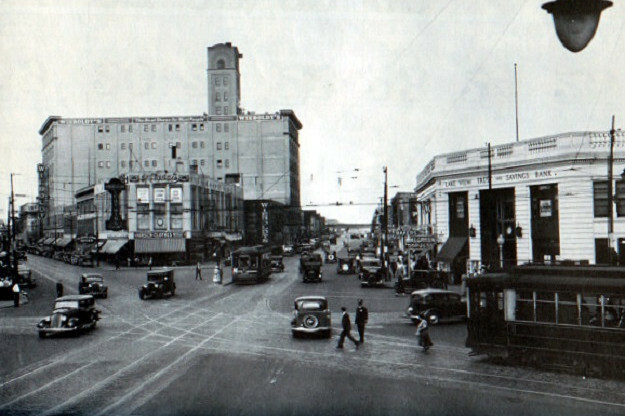 The large building with the tower a few blocks south is Wieboldt&apos;s Department Store, and just beyond it Lincoln Avenue crosses on a diagonal. Looking further south, you&apos;ll notice that Ashland is interrupted by the Chicago River. The current bridge over the river wasn&apos;t completed until a few years later. The picture is from a book titled The Plan of Chicago, 1933, and is meant to illustrate the widening of Ashland. Many buildings along the street had their front sections sliced off to accommodate this project. As for the Wieboldt&apos;s, it appears that the frontage along Ashland hasn&apos;t yet been cut back. The second picture is from a year later, looking north on Ashland from Lincoln-Belmont. This will help orientate the 1933 aerial photo. With no access to a plane for a contemporary shot, it&apos;s the best I could do.